Tariq Modood interviewed by Simon Thompson, 'On being a public intellectual, a Muslim and a multiculturalist', LSE Religion and the Public Sphere blogs, 15 July. Meer, N. and Modood, T (2016) 'A 'Jeffersonian' wall or an Anglican Establishment: The US and UK's contrasting approaches to incorporating Muslims', Democratic Audit, 22 April. Reposted in LSE Blogs and PolicyBristol. Modood, T. (2016) Review of McCrone & Bechhofer, Understanding National Identity, Cambridge University Press. Download here. Modood, T. 'Multiculturalism in 2020', PolicyBristol Hub, April 15, 2015, also in Global Briefing Winter-Spring, 2015. Modood, T. 'Religion in Britain Today and Tomorrow', Public Spirit, 26 January 2015. Shortened versions reproduced in Theos and Immanent Frame. Modood, T. 'In remembering the Charlie Hebdo Attack we mut not forget the responsibility that goes with free speech', LSE Public Policy, 12 January 2015. Reproduced in Public Spirit and University of Denver, Centre for Middle Eastern Studies. Shortened version reproduced on Immanent Frame. Modood, T., Re-blog of 'We don't do God'? Secularism and the Accommodation of Muslims in Western Europe, Crime and Security Research, ESRC/RCUK, 12th Jan 2015. Modood, T., ‘We Don’t Do God’? Secularism and the Accommodation of Muslims in Western Europe. Georgetown Journal of International Affairs, online edition, Faith and Freedom section, 29 May, 2014. Meer, N. and Modood, T., 'Multiculturalism: A resilient category in Britain', 8 April 2014, Political Insight, Political Studies Association. ‘Multiculturalism and Muslims in Britain and France’, Public Spirit, 5 September 2013. O'Toole, T., Jones, S.H., DeHanas, D.N., Modood, T. & Meer, N., 'Presence, voice and impact: Muslim participation in governance', Public Spirit, 19 Jul 2013. DeHanas, DN., O'Toole, T., Meer, N., Modood, T. & Jones, S.H., 'A place for Muslims in a "Christian country"? ', Public Spirit, 19 Jun 2013. ‘Interculturalism, multiculturalism, or both?’, Robert Schuman Centre for Advanced Studies, Policy Paper 18, European University Institute, 2013. ‘The Parekh Report: Rethinking the National Story’, Perspectives, Woolf Institute, Cambridge, 2013. 'There will always be a demand for multiculturalism research', Research Professional, July 2013. Download here. 'How Easy Is it to "be British"? Interview with Tariq Modood’, Studies on Ethnicity and Nationalism, 13 March 2011. 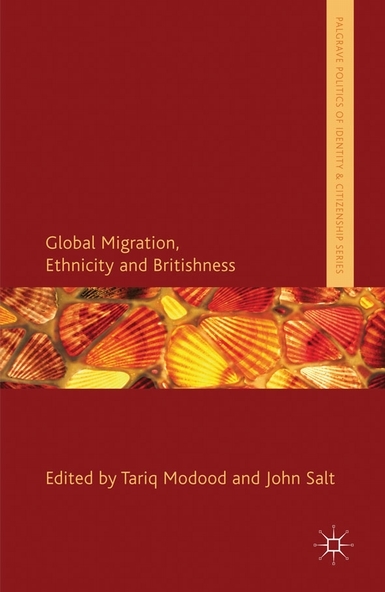 ‘A New Pragmatic Debate on Multiculturalism: David Cameron And Professor Tariq Modood’, Studies on Ethnicity and Nationalism, 11 Feb 2011. ‘Perche le smoschee non devone far paura’, Reset, 128, 2011, 81-86. ‘Multiculturalism Should Be About Bringing Communities and Individuals Into Relations of Respect’, British Politics and Policy at LSE, 2011. ‘Secularism, Still Alive’, IWMpost, 107, 2011, 8-9. ‘Is there a crisis of secularism in Western Europe?’ Immanent Frame, 2011. ‘The History of Multiculturalism’, Multiculturalism Bites, Open University, 2011. 'Multiculturalism and Integration: Struggling With Confusions', Accept Pluralism blog, June 30 2011. ‘Is Multiculturalism Past its Sell by Date?’, Runnymede Bulletin, Winter 2010-11, Issue 34: 12-13. ‘Tariq Modood Calls for a Multiculturalism of Hope’, Muslim Institute, December 2010. ‘Secularism and Respect for Religion’, e-International Relations, December 4 2010. ‘Il Multiculturalismo e Morto?’, Nuntium, Numero Speciale, Pontifica Universta Lateranense, no. 38-39, pp 135-142, 2009. ‘Muçulmanos Britânicos: a lut por reconhecimento’, Estado de Direito, Setembro e Outubro, pp. 20-21, Porto Allegre, Brazil, 2009. ‘Respect for Religion’, IWMpost, Newsletter of the Institut fur die Wissenschaften vom Menschen, Vienna and the Institute for Human Sciences at Boston University, No. 101, 2009, pp.23-24. ‘British Muslims: the struggle for recognition’, The Middle East in London, SOAS, July, 2009. ‘Is Multiculturalism Dead?’, Public Policy Research, June - August, 2008, pp. 84-88. Download here. ‘Multiculturalism After 7/7: A Scapegoat or a Hope for the Future’, Journal of the Royal United Services Institute’, vol. 153 (2), April, 2008, pp. 14-17. ‘Multicultural Citizenship and the Anti-Sharia Storm’, OpenDemocracy, 14 February, 2008. ‘Multicultural Citizenship: An Idea for Our Times ‘, Runnymede Quaterly Bulletin, September, 2007. 'Rethinking Multiculturalism After 7/7', in D. Hayes & T. Curzon-Price (eds) Europe and Islam: Controversy, Protest, Dialogue, The Open Democracy Quarterly, 1(1) January 2007. ‘Multiculturalism, Ethnicity and Integration: Contemporary Challenges’, Canadian Diversity, 5 (1): 120-122, Winter 2006. ‘The Liberal Dilemma: Integration or Vilification?’ OpenDemocracy, 8 February, 2006. ‘Multiculturalism vs. Britishness: A Phoney War’, Diversity Xchange, 4, Dec – Jan, 2005/2006, pp. 16-17. ‘British Multiculturalism: Do Muslims Fit In?’, Runnymede Quarterly Bulletin, October, 2005. ‘Moslims en Multiculturele Politiek in Groot-Brittannie’, Eutopia, 11, October, 2005: 85- 106 , Amsterdam. ‘Remaking Multiculturalism After 7/7’, OpenDemocracy, 29 September, 2005. ‘Ethnicity and Success in Higher Education’, ISIM (International Institute for the Study of Islam in the Modern World) Review, 16, Autumn 2005: 20-21. ‘Muslims and European Multiculturalism’, OpenDemocracy, 16 May 2003. `Multiculturalism, Secularism and the State', The Republic, 4, The Ireland Institute, 2005: 15-30. ‘Multiculturalism, Muslims and the British State’, British Association for the Study of Religion, Annual Lecture Series, 2003. ‘British Muslims: Within and Between Islam and the West’, Global Dialogue, Special Issue on the Impact of 11 September, 4 (2), 2002. 'Sources of Muslim Assertiveness', Anthropology Today, 2002, pp. 24-25. ‘Muslims in the West: A Positive Asset’, US Social Science Research Council website devoted to ‘September 11’, November, 2001. `Beware of a Secular Intolerance', Women Against Fundamentalism, 1995, no 6, pp. 1-2. ‘Muslim Identity: Social Reality or Political Project?' in Muslim Identity: Real or Imagined? A discussion by John Rex and Tariq Modood, CSIC Paper Europe No.12, Selly Oak Colleges, Birmingham. ‘Secularism: A Danger to Pluralist Britain', The Jewish Quarterly, 148, 1993, pp. 37-39. ‘Identity, Equality and Multiculturalism', World Faiths Insight, no.39, October 1991, pp.18-26. ‘Det Etniske Paradox' Nord Revy (Oslo), no. 219, 1991, pp.40-43.